Fits V6 & V8 Engine Models. Used on 4.3L V6, 5.0L, 5.7L V8 TBI, EFI, MPI fuel injected engines. Note this pump connects with a plug on a cable. With these parts you can replace your defective parts simply plug and play. PEUGEOT BOXER Platform/Chassis 3.0 HDi 160 F1CE0481D (F30DT) 2999 116 4 Platform/Chassis 2006-. PEUGEOT BOXER Platform/Chassis 3.0 HDi F1CE0481D (F30DT) 2999 115 4 Platform/Chassis 2007-. PEUGEOT BOXER Box 3.0 HDi 160 F1CE0481D (F30DT) 2999 116 4 Box 2006-. JUMPER Bus (230P) 2.8 HDi 8140.43S. JUMPER Bus (230P) 2.8 HDi 4x4 8140.43S. JUMPER Box (230L) 2.8 HDi 8140.43S. JUMPER Box (230L) 2.8 HDi 4x4 8140.43S. JUMPER Box (230L) 2.0 HDI RHV (DW10UTD). JUMPER Platform/Chassis (230) 2.8 HDi 8140.43S. Mazda 3 Series 2004 BK [2003-2009] Hatchback Hatchback 1.6 Di Turbo 1560ccm 109HP 80KW (Diesel). Mazda 3 Series 2005 BK [2003-2009] Hatchback Hatchback 1.6 Di Turbo 1560ccm 109HP 80KW (Diesel). Mazda 3 Series 2006 BK [2003-2009] Hatchback Hatchback 1.6 Di Turbo 1560ccm 109HP 80KW (Diesel). VAUXHALL ASTRA MK5 / OPEL ASTRA H 1.7 CDTI 2004-ON ALL BHP VARIANTS. -VAUXHALL / OPEL COMBO MK2 1.7 CDTI / DI / DTI ALL BHP VARIANTS 2001-2011. -OPEL COMBO TOUR 1.7 CDTI / DI / DTI ALL BHP VARIANTS 2001-2011. VOLVO 3858714. VOLVO 3850810. VOLVO 3857985. Fit for these car models OEM part number. Land Rover Range Rover MK3 3.0 TD6 [2002-2012] Engine:306D1. OEM Part Number. 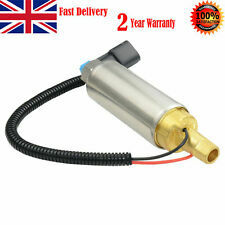 WQC000011 For Land Rover Ranger Rover MK3 SUV 3.0 TD6 4X4 Intank Fuel Pump. Land Rover Range Rover MK3 3.0 TD6 [2002-2012] Engine:306D1. OEM Part Number. Quality Warranty: 24 Months. VAUXHALL / OPEL VAUXHALL / OPEL. Mass Air Sensor. Fuel Injector. TO FIT THE FOLLOWING MODELS PART NO: 0 928 400 487. INTERCHANGE PART NO: 8200179757 / 45022039F. We are car parts specialists dealing directly from manufacturer to you with over high experience in this market. C30 S40 S80 V50 V70 1.6 D . C30 S40 S80 V50 V70 1.6 D. FUEL PUMP NO :0928400617, 0445020042, 0445020061, 0445020068, 0445020074, 0445020084, 0445020086, 0445020087, 0445020091, 0445020092, 0445020094, 0445020098, 0445020246, 0445020254, 0445020279, 0445020209, 0445020213, 0445020219, 0445020220, 0445020108, 0445020115, 0445020116, 0445020197. Part Number: WFX000181G. Range Rover L322 3.0L Diesel Fuel Pump. This pump will fit all L322 3.0L diesel upto chassis number 4A999999. Product specifications are given but it is up to the end user to ensure that the product is fit for that purpose. 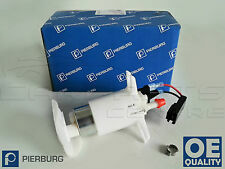 Land Rover Freelander 1 TD4 Remote Electric Diesel Fuel Pump & Filter - LR023043. Condition is New. Dispatched with Royal Mail 1st Class. 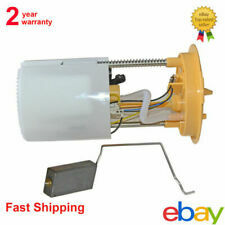 Fuel Pump Used for FIAT 500 500L Panda Hatchback 0.9-1.4L 2003-OE 46798695. FIAT 500 (312_) 0.9. FIAT 500 (312_) 1.2. FIAT PANDA (169_) 1.1. FIAT 500 (312_) 1.2 LPG. FIAT 500 (312_) 1.4. FIAT 500 C (312_) 0.9. TOYOTA AURIS (NRE15_, ZZE15_, ADE15_, ZRE15_, NDE15_) 1.4 D-4D 1364 66 4 Hatchback 2007-. TOYOTA AURIS (NZE18_, ZRE18_) 1.4 D-4D 1364 66 4 Hatchback 2012-. TOYOTA AURIS TOURING SPORTS (ADE18_, ZWE18_, ZRE18_) 1.4 D-4D 1364 66 4 Estate 2013-. For VW Jetta Golf AUDI A3 1.2TSI 1.4TSI High Pressure Fuel Pump 03C127026P New!! 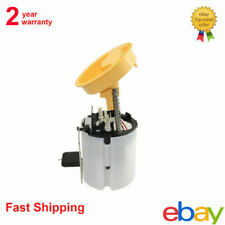 Fuel Pump Assembly FOR VW Passat 3C2 2005-2011 Saloon 1.9 TDI/2.0 TDI/2.0 TDI 16V/2.0 TDI 4motion. VW Passat 3C2 1.9 TDI 2005/03-2008/11 1896 cc, 77 kW, 105 HP 2005/10 - 2008/11 (Chassis number up to: 3C-B-049 999. ). Land Rover:Defender 110, 130, TD5, 1998-2006. OEM Part Number. Quality Warranty: 24 Months. TOYOTA HILUX III 3.0 D-4D. TOYOTA RAV4 III 2.2 D-4D 2006-2010. TOYOTA CROSS-REFERENCE NO: 04221-27011 & 04221-27012. Mass Air Sensor. TOYOTA RAV4 II 2.0 D-4D 2000-2005. TOYOTA AVENSIS 2.0 & 2.2 D-4D 2003-2008.